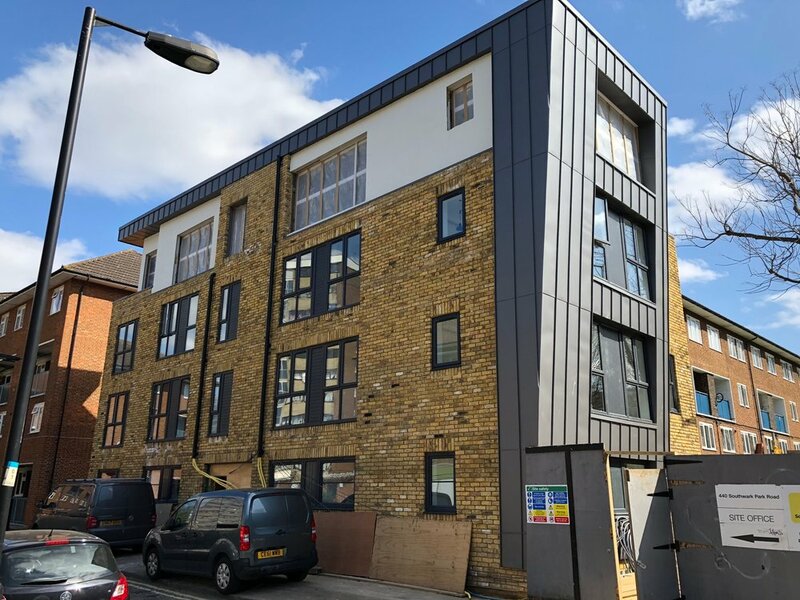 6 retail units with basement and 8 flats to 1F - 2F. New-build in a small shopping street off Cazenove Rd, Stoke Newington. 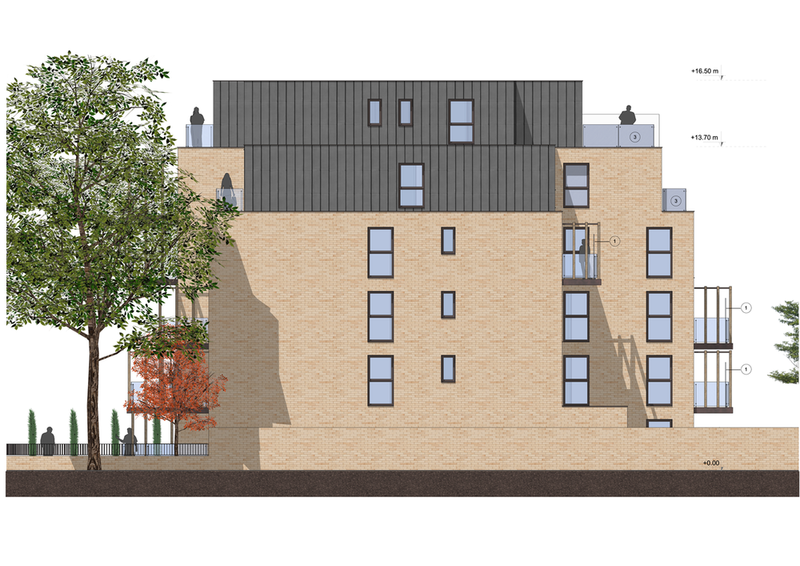 New-build scheme facing the Thames, 13 flats in a conservation area. An inherited timber frame design which we built-out, with very high building fabric performance. 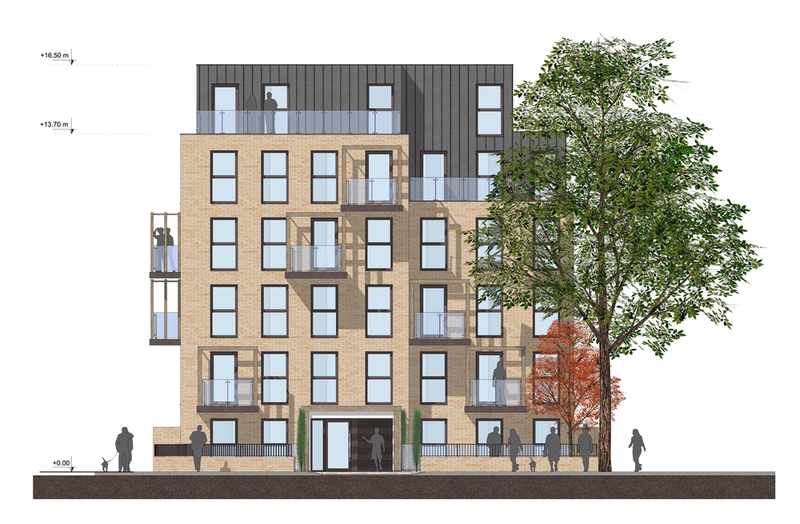 Four-storey new build scheme of 8 flats, Code for Sustainable Homes with very high levels of insulation and pv.